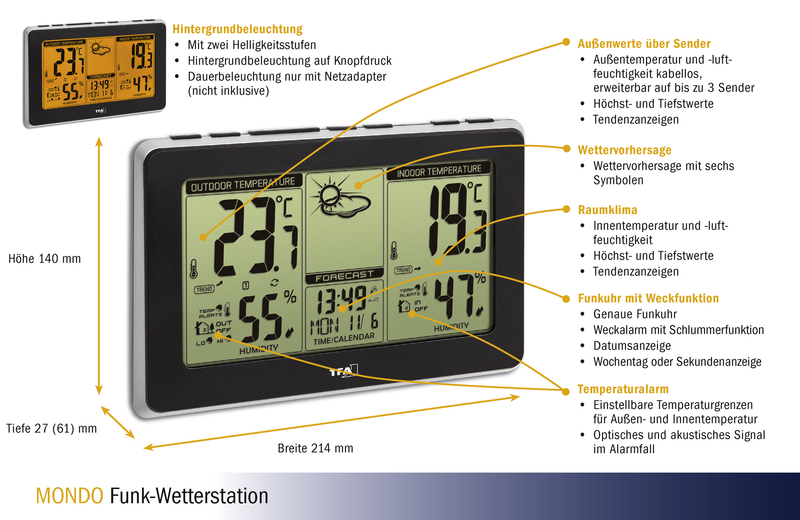 What’s the weather doing outside? 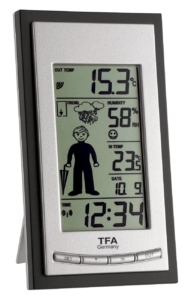 Just take a glance at the weather station MONDO and you’re immediately get the picture. 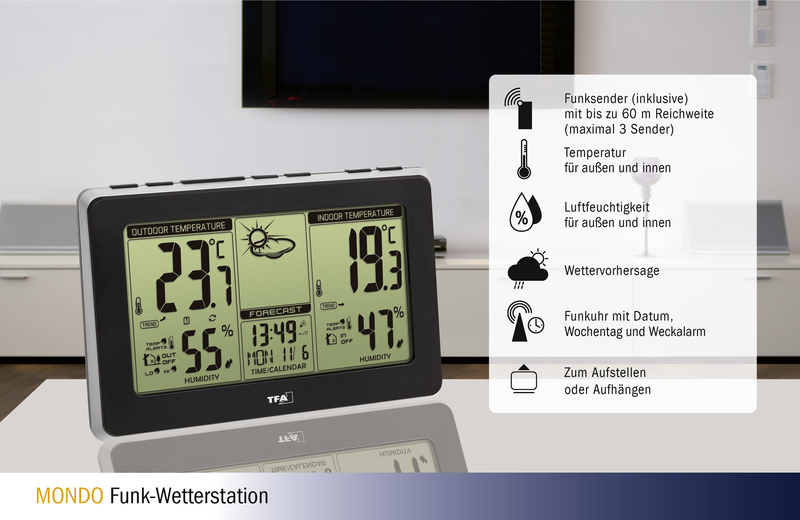 Sun, clouds or raindrops – based on the barometric pressure changes, the weather symbols gives you a forecast for the upcoming weather and you know whether you’re going to work today by bike or would rather go by car. 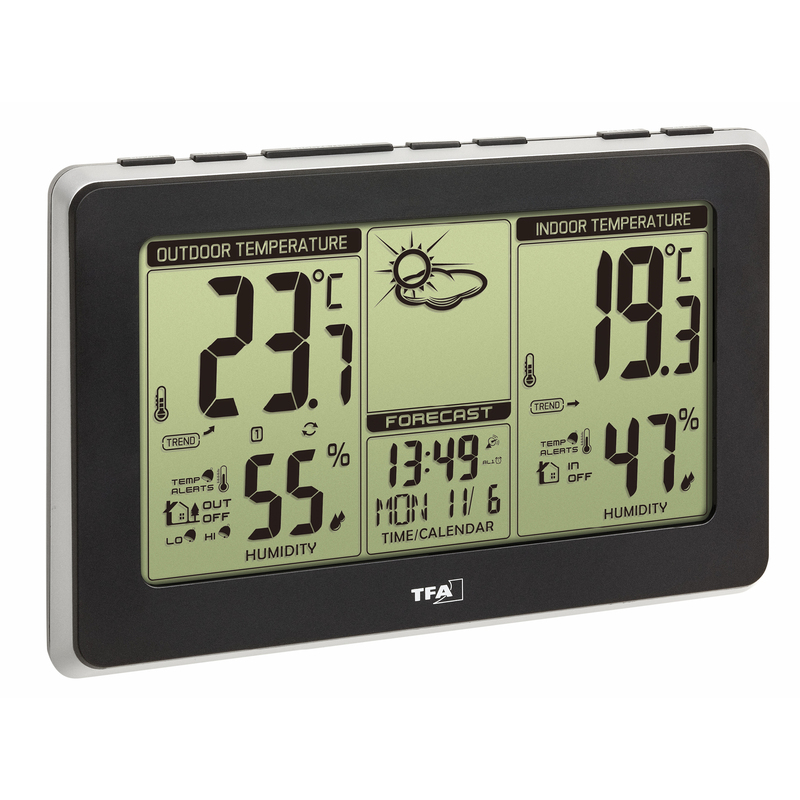 A separate wireless transmitter – placed in a sheltered outdoor space – determines the outdoor temperature and humidity. 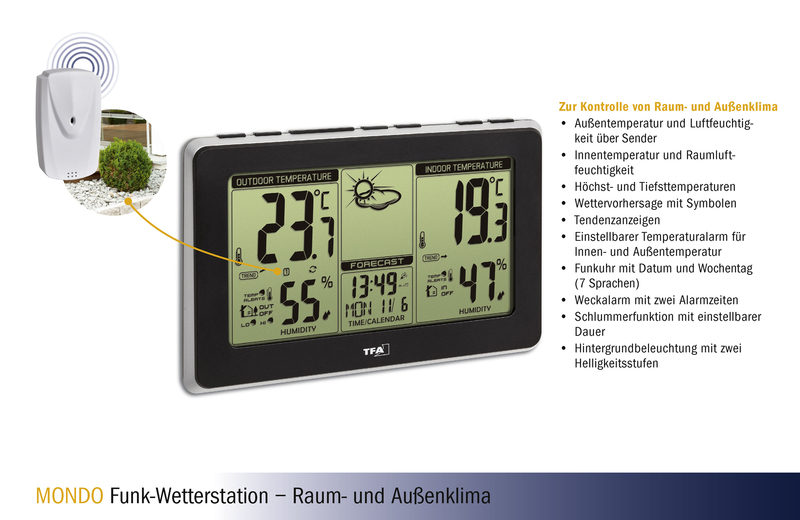 Two additional transmitters can be connected to the weather station MONDO optionally. You also have the indoor temperature and humidity in view and can control the living environment through targeted heating and ventilation. 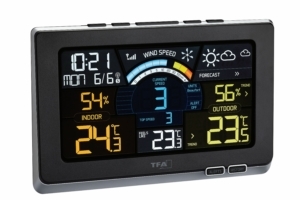 The device also fulfils all functions of a radio-controlled alarm clock. 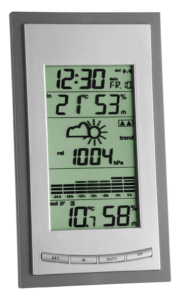 The time and date are updated via the DCF77 signal sent by the atomic clock. 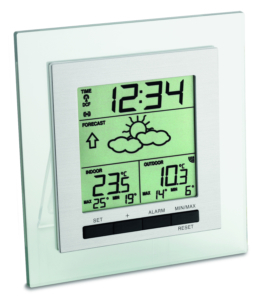 The alarm wakes you up on time, but thanks to the adjustable-duration snooze feature, you can get an extra sleep for a few more minutes. 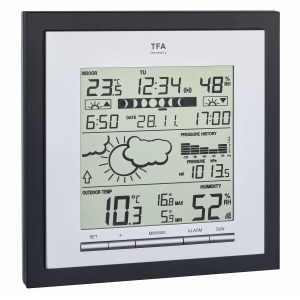 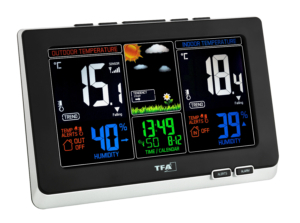 The backlight comes on at the touch of a button and If you operate the weather station with a power adapter (not included), the backlight can be activated permanently and regulated in two brightness levels.